In terms of concept, vocational education is not only the ‘supporter’ for the development of the service industry, but also a part of the industry itself. ‘Vocational Education 4.0’ is different from vocational education 1.0, 2.0 and 3.0. If ‘Vocational Education 1.0’ emphasizes the traditional professional quality of career, then ‘Vocational Education 2.0’ emphasizes specialization based on specialized field and basic education. ‘Vocational Education 3.0’ emphasizes the process-oriented professional quality in independent and responsible actions, then ‘Vocational Education 4.0’ emphasizes the experience-oriented and scientifically oriented development of professional quality in the digital work world according to Dr. Gert Zinke, the Federal Institute for Vocational Education, who believes that ‘Vocational Education 4.0’ is a vision that needs changes, including an understanding of future careers, designing and teaching of vocational education, teaching processes, personnel qualifications, educational and teaching resources, etc . To achieve the ‘integration’ of true school-enterprise integration, rather than just staying at the level of “cooperation”. ‘Industry 4.0’ has triggered a wide range of changes, and changes in work equipment, work objects and work organizations require adjustments to the corresponding qualifications. It can be seen that the working world of the digital industry requires new professional capabilities. On the other hand, it needs expertise based on information technology or mechatronics in a certain industry, and it needs work capacity based on a complex data system environment.At the same time, there are also five indicators that increase the qualification requirements of ‘Industry 4.0’ for technical workers such as comprehensive integration and information transparency, automation of production systems, self-management and object-oriented decision-making, digital communication and interaction management functions, and the flexibility of employee use . In action, we must persist in fostering a vocational education system with Malaysia characteristics such as perseverance, perseverance, public entrepreneurship, and innovation. ‘Industry 4.0’ is a revolution in the form of work. Just as automation and digital change our production and products, the goal is to create a highly flexible and intelligent production model of personalized and digital products and services, and to intelligentize employees . The requirements are getting higher and higher. Intelligentization is one of the core characteristics of “’Industry 4.0’. The core features of this intelligence are embodied in intelligent talents, intelligent services, intelligent data, intelligent products, smart devices, and smart spaces. Therefore, the profession of vocational education is moving towards intelligence with information as the core. The second is to form a composite professional structure that integrates design, production and service caused by digital intelligence. For example, the traditional machinery and equipment control and maintenance profession in the manufacturing field began to compress, adding a number of integrated services, IT and science fields, such professionals will be engineering disciplines, communication technology, computer science, trade and management. The knowledge of other aspects will be integrated and form a composite professional talent training pattern. 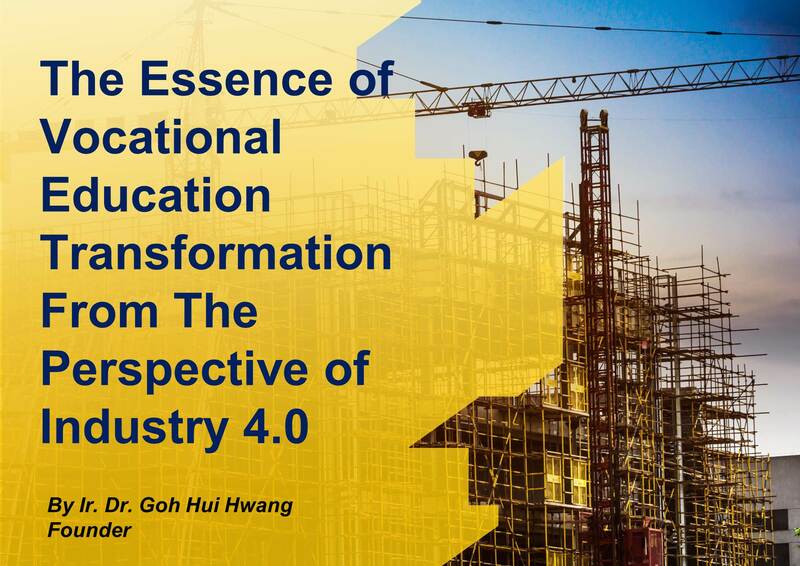 In a nutshell, the promotion of Industry 4.0 on a global scale has given the historical mission of transforming development to the vocational education that undertakes the training of high-quality workers and skilled and skilled personnel. Zinke, Gert (2018),‘Vocational Education and Training 4.0 – results and core message for changes in skilled worker requirements from occupational screening’, Forum 1 ：Vocational Education and Training 4.0 – initial and continuing training in the digital age， June 8, 2018, Federal Institute for Vocational Education and Training (BIBB), Germany: No publisher. Ustundag, Alp and Cevikcan, Emre (2017), Industry 4.0: Managing The Digital Transformation, Cham, Switzerland: Springer.